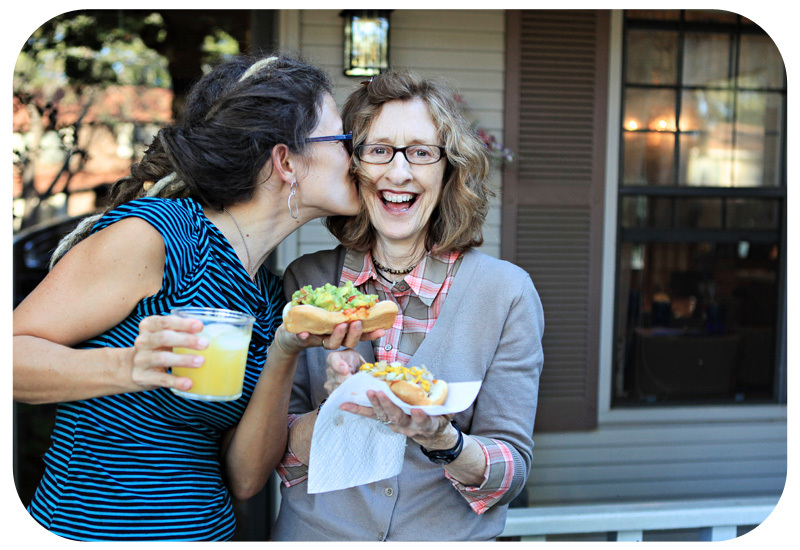 We had a fancy hot dog party on my Mama’s birthday last weekend. My mama is not really a hot dog girl, but we totally won her over with our gourmet toppings and these Petit Jean Polish Sausages. They are just the right amount of spicy. 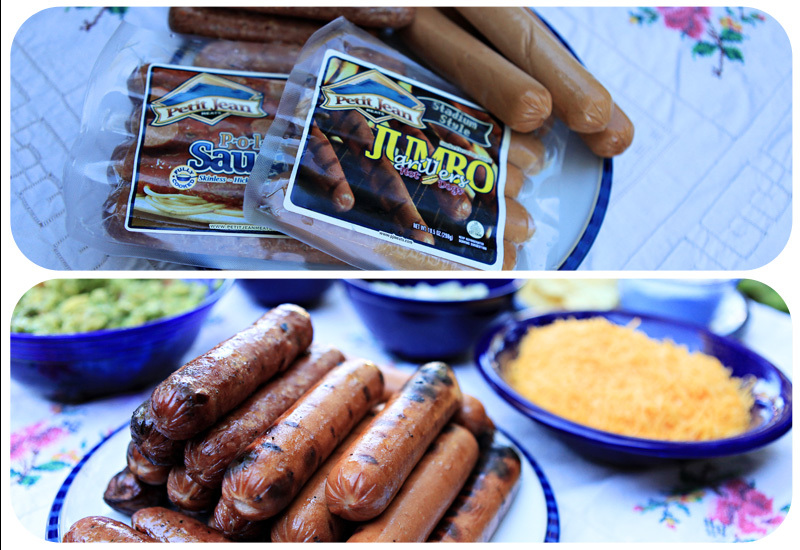 The sweet folks at Petit Jean Meats sent me these Polish Sausages and Jumbo Grillers to try out. Whitney and I had so much fun putting this table together. She found some vintage linens and I pulled out all of my Mama’s blue bowls. 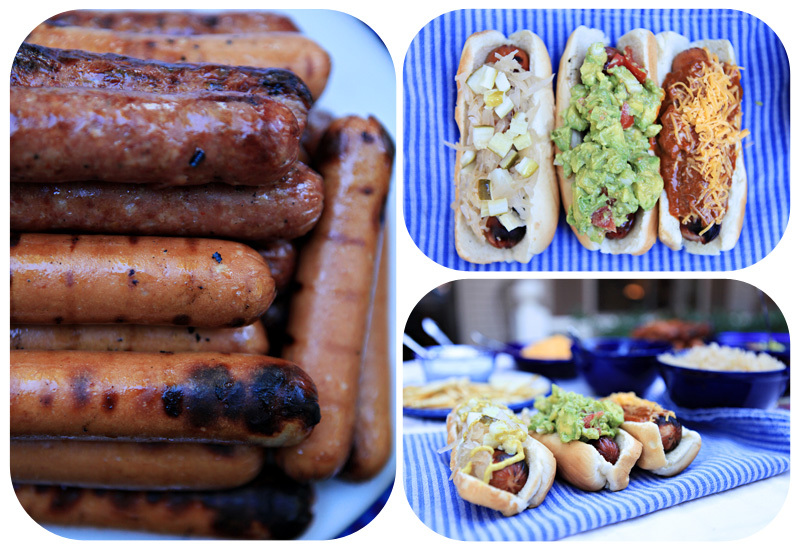 It was amazing to me how having a lot of options for dressing up your hot dog turned a fairly simple cookout into a happy table popping with color. Everyone loved all the different choices. You can tell from the pictures that guacomole was definitely a favorite! 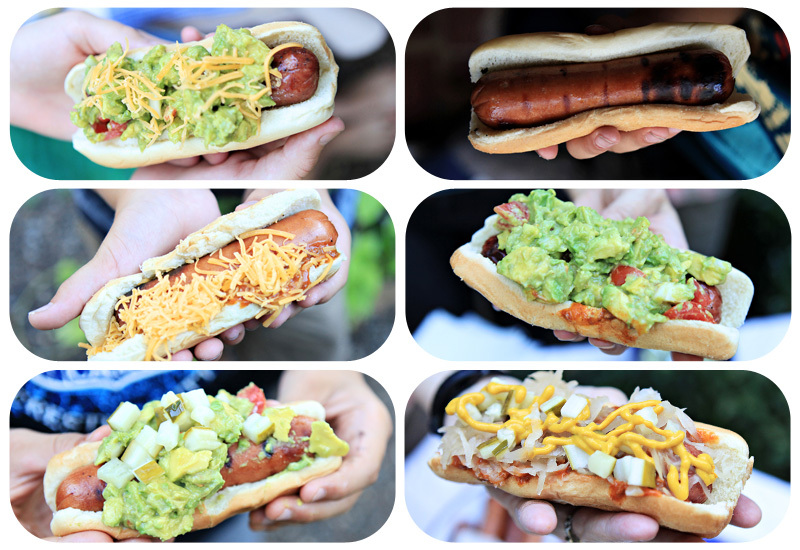 Here’s what you need to have your own Fancy Hot Dog Party. Look at this happy birthday girl! LOVE! Mix all ingredients together in a bowl and enjoy immediately! Petit Jean Meats is a wonderful local Arkansas company. I have bought their bacon and peppered ham for years at the grocery store, but they will ship all over the US. We got to try lots of different Petit Jean Meats at the Arkansas Women’s Blogger Conference, and I am excited about partnering with them for some more fun food blogging this fall! And as always, thank you Whitney for gorgeous party photos! Let’s do this again! So yummy and fun. Love it! Great pic of you and your mama!